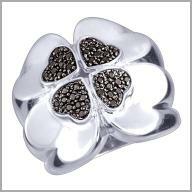 Sterling Silver Black Diamond four Hearts ring.Price includes 30% discount. Transform your look with this design of refined elegance. This ring is crafted in polished sterling silver, and features 36 full round cut black diamonds. The total diamond weight is approximately 0.32ct. 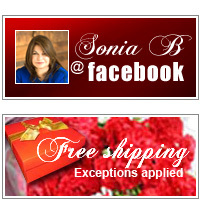 The setting size is 3/4" x 7/8" with a height of 1/4". It also has an undergallery for added beauty and comfort.